The fleetminder LP1 is a tracking devices that communicates it’s location via satellite making it suitable for remote area use. 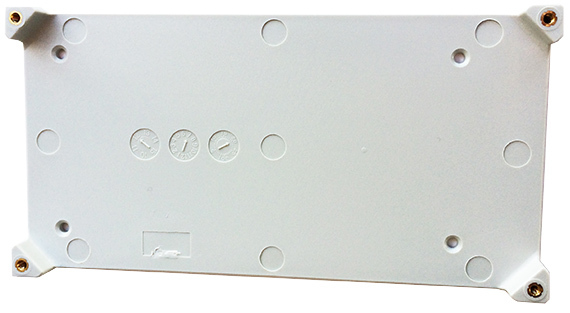 The LP1 comes with this plastic mounting bracket (picture 1 below) which is suitable for internal or external mounting of the LP1 on a shipping container, vehicle, machine, etc. See pictures 4 and 5 below. These mounting brackets can be used to fix the LP1 GPS tracker underneath the side of the vehicle or trailer. The LP1 GPS tracker still needs to be mounted flat, but not directly under metal (of the trailer, machinery, etc). 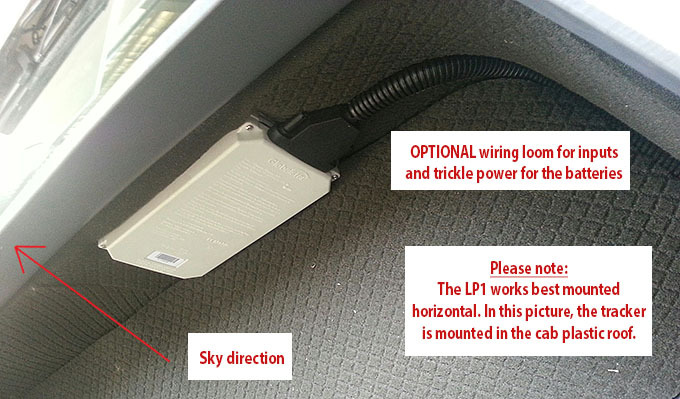 A metal strap can also be used to secure the LP1 to the mounting brackets (recommended to place strap over the battery cover, not over the GPS antenna section of the LP1 GPS tracking device). For extra protection of the LP1 when mounted on the roof of a trailer. 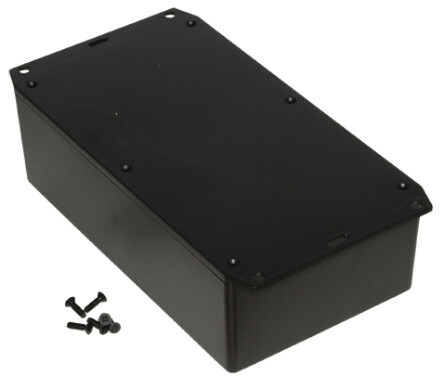 This plastic box is available from RS Components (in Australia). Costs: $14.50. 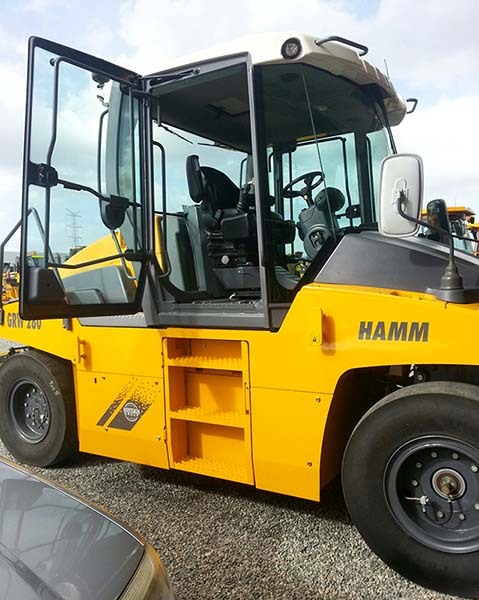 It can be purchased from their online store, or picked-up from RS Components in your capital city. 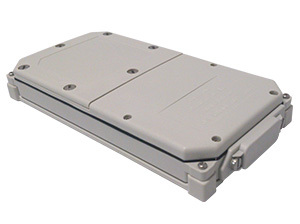 * The enclosure can be mounted flange down or flange up depending on whether you want to mount it under a vehicle/machinery roof, or outside on top of the roof. Ensure that the LP1 GPS tracker is the right way up within the enclosure so the GPS side is facing the sky (and not the ground).